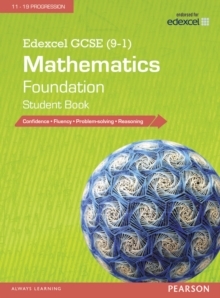 Exam Board: EdexcelLevel: GCSESubject: MathsFirst teaching: September 2015First exams: June 2017Help students reach a higher level in each topic before they move onto the next topic with content broken down into larger chunks. Check and consolidate understanding with formative assessment followed by an opportunity to strengthen learning at the end of each topic Challenge the higher abilities to broaden learning further with extend sections. Build confidence with fluency, reasoning and problem solving integrated in every unit to give students the tools to answer new question types. Support lower ability students with strategies proven to help them access concepts, such as concrete- pictorial-abstract. Encourage students to reflect on their learning, something that has been proven to nurture confidence and raise achievement in all abilities.